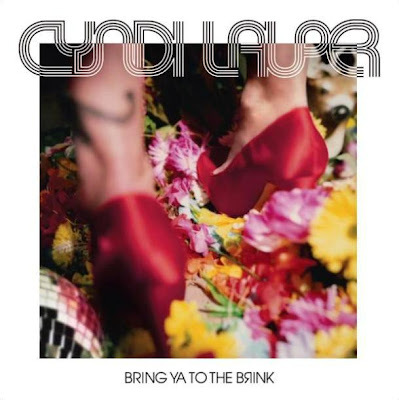 The legendary Cyndi Lauper returned last year with the release of ‘Bring Ya To the Brink’. Working with artists and producers like Basement Jaxx, Kleerup, Dragonette, and The Scumfrog, the result is one of Cyndi’s strongest albums to date. Full of pop hooks, 80’s-inspired synths, soaring vocals and a dollop of disco, this is definitely one of my favourite albums of 2008. 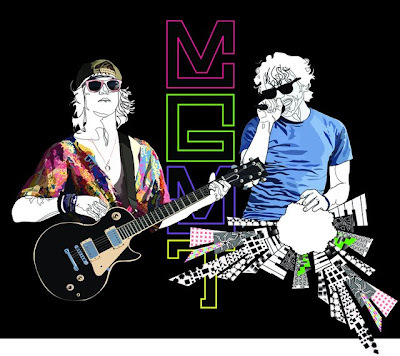 Standout tracks include the club hit ‘Into The Nightlife’, the Kleerup produced ‘Lay Me Down’, as well as ‘Set Your Heart’, ‘Echo’, and ‘Grab A Hold’. Although the album did not receive much promotion or radio play, it truly is a gem and makes the cut as one of my favourite albums ever. Check it out on iTunes or at your local record store, it’s well worth a listen. Love Is The Drug, And I Need To Score! 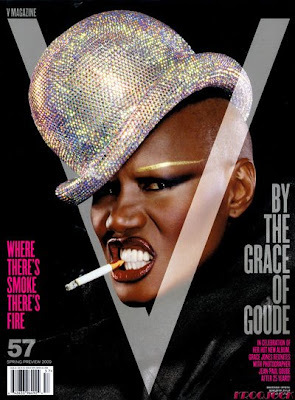 Grace Jones is on the cover of the upcoming Spring Issue of V Magazine. The photographs were taken by Jean-Paul Goude, the man responsible for this iconic Grace Jones image. 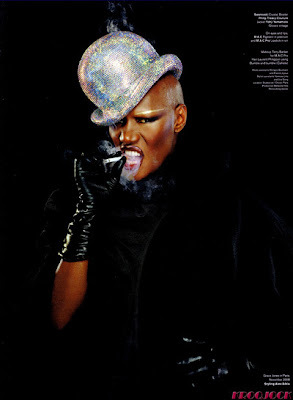 In the spirit of Grace Jones, we're gonna get glammed up tonight for Factory Party #4. 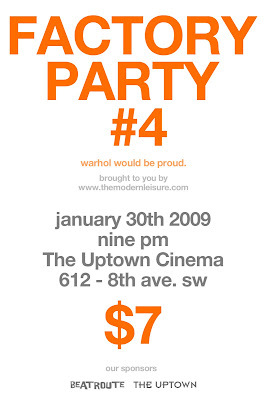 I know some of you will be there... throw some glitter on and let's go! Kylie Minogue in POP Magazine, Spring/Summer 2006. Photographed by Mert & Marcus. 3. What Do I Have To Do? One girl. One camera. Invading the world's most exclusive boutiques, stealing a moment in time. Elle Muliarchyk is a Belarusian model/artist that has been producing amazing photographs for the past few years. 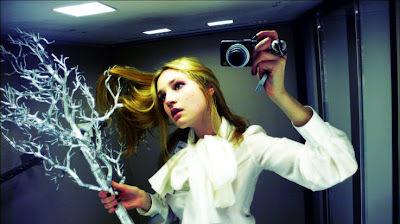 She goes into the world's most expensive stores with her camera, tripod, and various props hidden in her bag. She then transforms the changing room into her own set, snapping photos before suspicious salespeople come to check in on her. She's been caught several times, even arrested, but for Elle, stealing the soul of the clothes is worth it. Most recently, she's caught the attention of English designer Bella Freud, and the two have collaborated on a series of photos. For Elle's complete portfolio, check out her website. 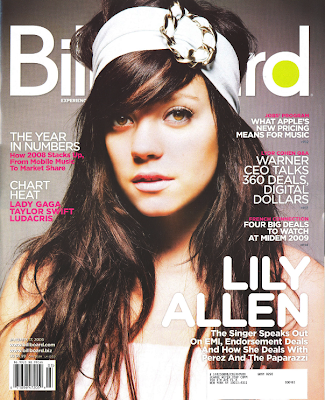 As some of you might have noticed, I had previously posted some tracks from Lily Allen's new album. Unfortunately, my post was removed by Blogger. So I've decided to post an album sampler for 'It's Not Me, It's You' instead. Enjoy. 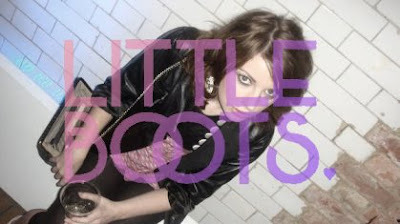 One of my very favorite artists, Little Boots, has released a mixtape called "Automatic Lovers" that mixes 70's and 80's Italo Disco with contemporary tracks. I've been listening to this mix a lot when I go for a run, it's perfect. Madonna is the new face of Louis Vuitton. Although I like the pictures, I preferred the ads with Scarlett Johansson. Thoughts? I've got my tickets!! So excited, it's going to be great. 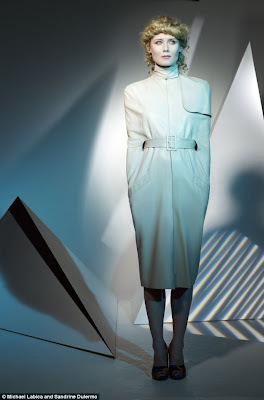 Róisín Murphy is a huge inspiration for me, both her music and her fashion. 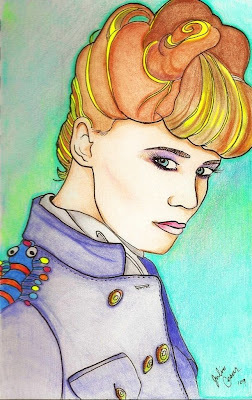 Here's my drawing of the pop diva, done in ink and colored pencils. There's just something about this song. A bit of angst mixed with sheer exuberance. And it's remixed by the bloody Pet Shop Boys, darling! The result is an epic, amazing song.